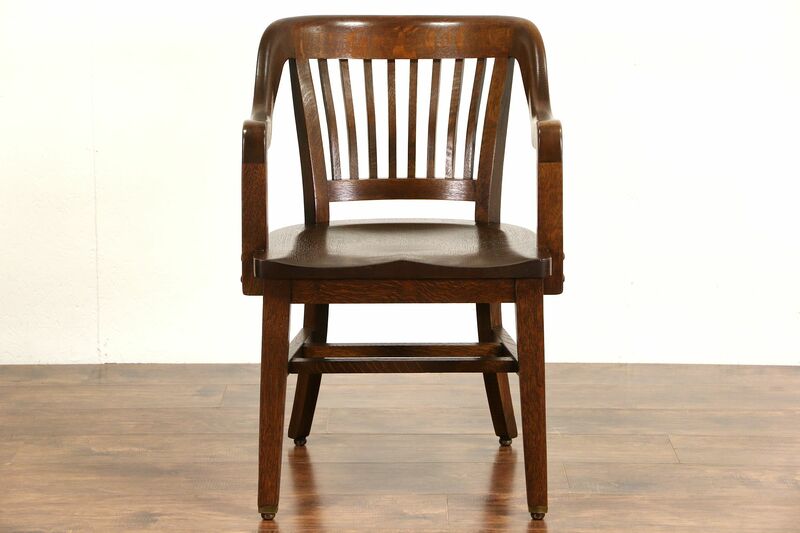 An oak armchair with brass feet was made about 1920 for a courthouse in Sioux City, South Dakota. This rugged office grade chair is tight and strong, reglued to serve another generation. The renewed finish is in excellent condition on solid quarter sawn oak. Curved lumbar spindles, sculpted seats and curved backs were designed for comfort before the term "ergonomic" existed. Size is 22" wide, 24" deep, 33 1/2" tall, the seat is 19" high and 18" deep.